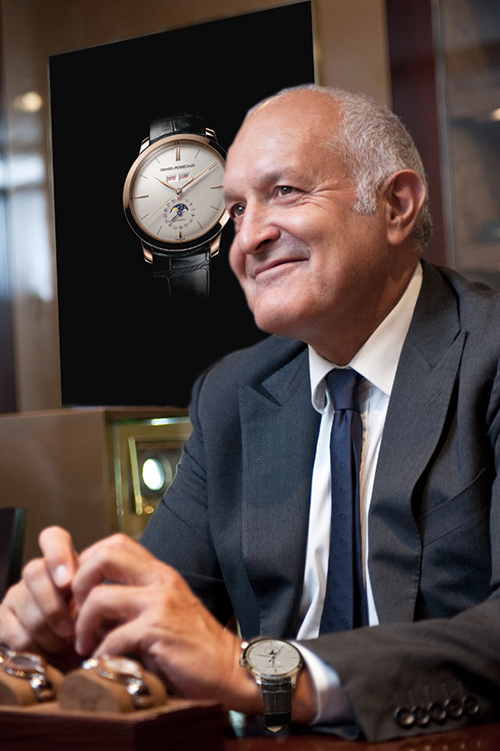 — We asked Michele Sofisti, CEO of Girard-Perregaux, the brand that won the Aiguille d’Or at the 2013 Geneva Watchmaking Grand Prix for its Constant Escapement model, about the impact that winning the prize has had on the brand.
" The Jury is composed of extremely competent and qualified people and it has been a great honour to have been chosen by them among other very important and challenging watch projects." 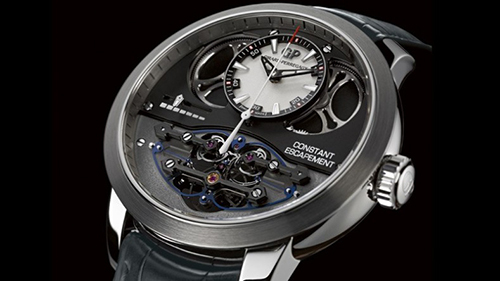 What was the immediate impact of winning the GPHG for Girard-Perregaux? The impact of winning the GPHG has been just enormous. First for the whole Girard-Perregaux team, especially the R&D people who worked very hard for years to get the Constant Escapement ready with this revolutionary escapement. We understood it also as a sign of recognition for the work done by Girard-Perregaux in the last two years where we brought out various new movements and collections. The merit of the prize won goes, as I said during the event, to Gino Macaluso, who believed in a futuristic development, never tried before and who pushed the R&D on this way. Then, it had a fantastic impact on our partners and future partners around the world; industrial suppliers, distributors, retailers. They all realized that Girard-Perregaux is strongly there with pride, energy and passion. This has created a new momentum we can still feel and on which we try to capitalize.Finally, it reached the end consumers, who now give new attention to all Girard-Perregaux products. What effects have you seen over the medium term and do you foresee any long-term benefits? The prize gives a meaning of positive boost. On a medium term, it gives us the energy to go further into new challenges and in the long term, to come with new projects which could deserve one day a new recognition. Do you see the GPHG as a means of validating your R&D? Definitely yes. The Jury is composed of extremely competent and qualified people and it has been a great honour to have been chosen by them among other very important and challenging watch projects. What is your rationale for participating in the Grand Prix? What do you expect to achieve? There are many reasons for taking part in the GPHG. The first is to let outside experts judge our work, in a very transparent way, then, the challenge itself to be part of competition with some of the world’s best brands, and finally the spirit of new technical challenges that all this brings with it. New challenges give us the energy to move forward and to try to defeat conventions and rules, as far as watchmaking is concerned. How do you choose the watch(es) that you want to submit to the Grand Prix? In our case, it was very simple. We had worked for years on the new escapement and it was natural that, having the watch ready, we were also ready to submit it to the jury. We have been surprised to receive the top prize, knowing that other beautiful projects were presented but we were confident. The Constant Escapement is a real revolution and the perfect marriage between the art of watchmaking and futuristic materials like silicon. Do you use the results of the Grand Prix as a kind of barometer for watch trends? Will you be submitting any watches this year and, if so, in which categories? We can't participate...this is the rule... But maybe we'll be there with a new JeanRichard!